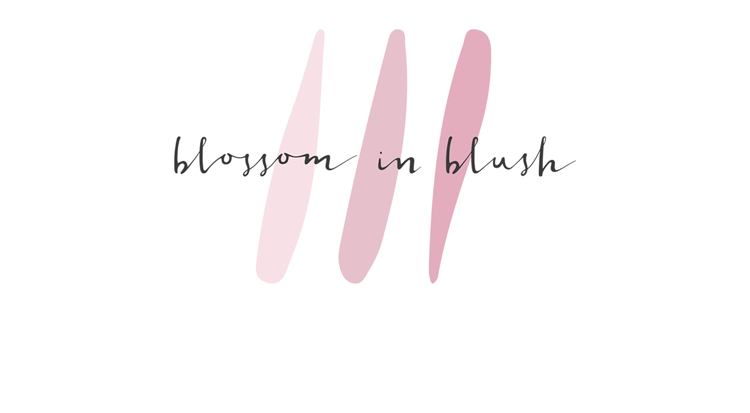 What you want to do is, dip each brush in a bit of that mixture, and over the sink, swirl it in your hand a little, rinse your hand over and over again to keep adding water, and give a final rinse until there are no signs of bubbles and makeup. If you let the water run directly into the bristles, it will eat at the glue that holds them together and cause shedding. Squeeze out the excess water and try to recreate the shape as much as possible before leaving them to dry. 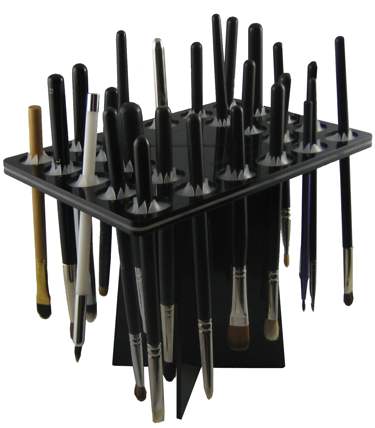 They have different kinds to fit all of your brushes, you can check them out HERE. And there you go! Regular cleansing keeps your brushes, your makeup and your face happy! I wash my brushes every week, 'cause, how good do those clean brushes work? SO GOOD. I tried your method this week and I have to say that it is the most simple yet most effective solution I have ever used. 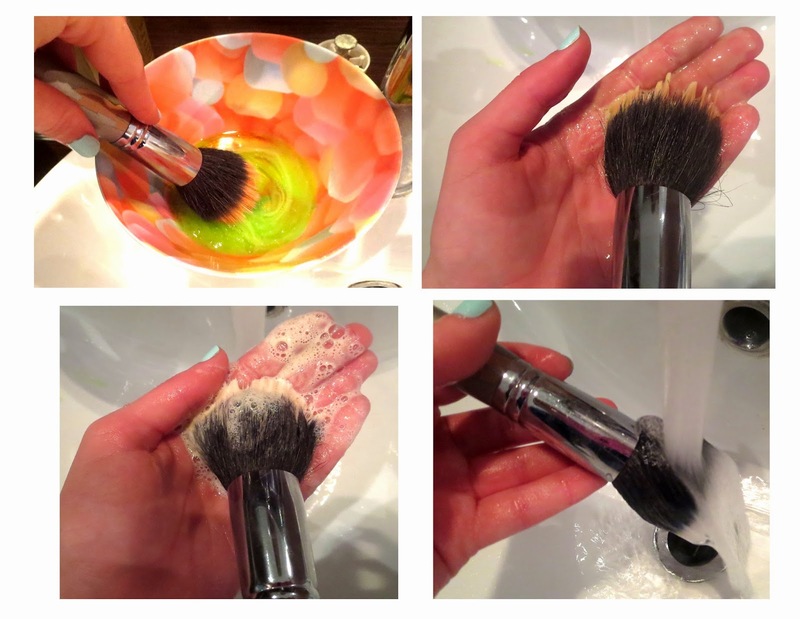 The dish soap works really well to get all the makeup out of the brush...pretty fast, too! And I did notice a difference in the texture of my brushes with the olive oil. 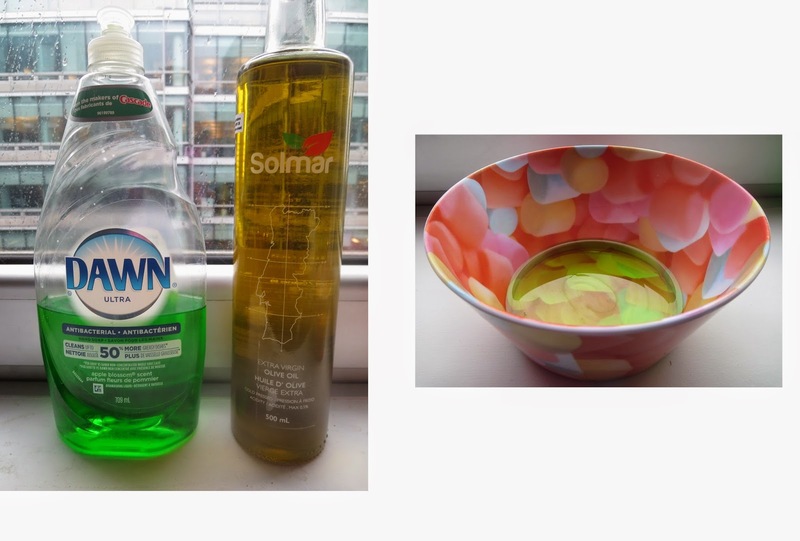 In the past I used a warm water and vinegar solution, but this is way better. Thanks Valtron! Thanks girl for the tips. I'm starting to invest in my makeup, so this is super helpful (and probably the reason why i've started to break out a little).